Summer is the perfect time to do the things you love doing. It means no school and no homework, having lots of time to hang out with friends and being able to enjoy different experiences. As much as we look forward to summer’s fun and adventure, we can sometimes wish to take a break from all the activities that the season brings too. Just like what teen celebrities Gabbi Garcia and Ruru Madrid discover in McDonald’s’ new summer ad, you can always, find ways to beat the heat, fight the boredom, and enjoy spending time with yourself or with friends if mag-palamig ka muna,” as underground hip hop artist AI James sings throughout the video that gives off the chill and cool vibe you look for during summertime. Now, going out to get some pampalamig is definitely more fun with McDonald’s three refreshing dessert offerings this summer. 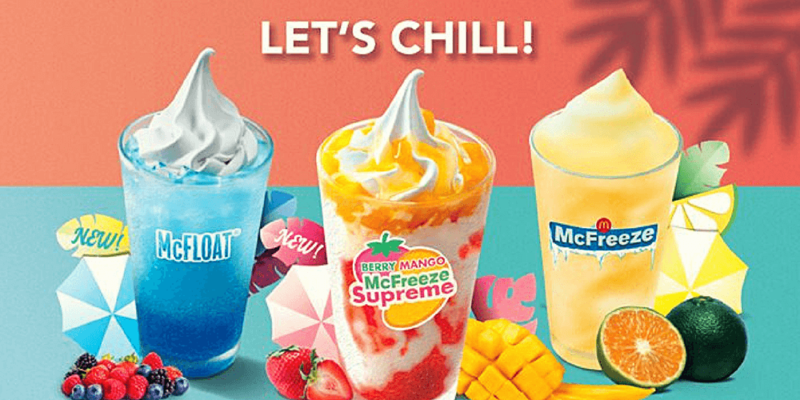 The new Berry Mango McFreeze Supreme, Mixed Berries McFloat, and Frozen Dalandan are just what you need when you realize that you need to cool down and get yourself some pampalamig. Summer will be extra memorable with these cool Mcdonald’s summer desserts, which will definitely help you chill on a hot afternoon. Just like Gabbi and Ruru, you can go hang out with friends while enjoying Berry Mango Supreme McFreeze, made of vanilla soft serve on sparkling beverage topped with real mango bits on a strawberry syrup base. To cool down when temperatures soar, grab the Mixed Berries McFloat, a refreshingly fun treat bursting with the taste of zesty blueberries, raspberry, and blackberries. Cool down with Frozen Dalandan McFreeze, which will keep you feeling relaxed as you wind down the day. 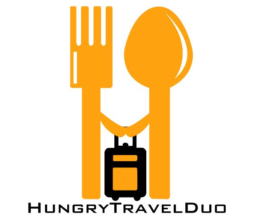 These desserts can be enjoyed with any McDonald’s meal, but are equally satisfying when taken alone. With the sizzling temperatures, you’ll definitely be able to stay chill and have fun with these iced dessert treats to make summer even more fun. For only P32 each for the Mixed Berries McFloat and Frozen Dalandan and P59 for the Berry Mango Supreme McFreeze, it’s a great way to beat the heat. Palamig ka muna and get a dose of happiness by getting McFloat and McFreeze in McDonald’s stores nationwide. Watch McDonald’s’ new summer ad or share your chill moments on the McDonald’s Facebook page, http://www.facebook.com/McDo.ph, or tag @McDo_PH on Twitter or Instagram. Celebrate World Pizza Day at Papa John’s Pizza!